(ACE) 21 tracks (49:44) 1952-1960. Sweet and mellow vocal sounds, including the best version of the title track from this enduring late-50s group. The Skyliners burst onto the pop scene in 1958 with their stratospheric Since I Don't Have You, encoring with a similarly breathtaking This I Swear the next year (they're both on previous volumes of this series). Lead tenor Jimmy Beaumont, tenor Wally Lester, baritone Joe Verscharen, bass Jack Taylor, and soprano Janet Vogel had developed a pristine sound all their own. The group, along with manager Joe Rock, was officially credited with crafting both hits themselves for the Pittsburgh-based Calico label, though reportedly Beaumont and Rock were the actual composers. 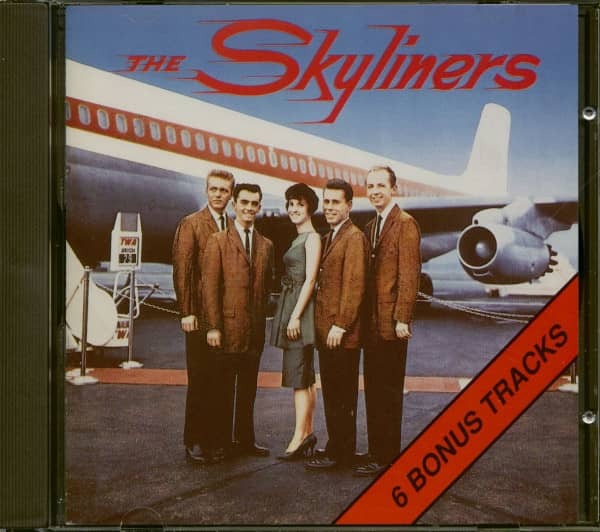 The Skyliners' next Calico offering, It Happened Today, was an upbeat original that did less business in the fall of '59. How Much fell through the cracks. A different approach was apparently in order. Updating a chestnut crafted by Arthur Johnston and lyricist Johnny Burke as the title song for the 1936 film 'Pennies From Heaven' (Bing Crosby introduced it) proved just the ticket for the polished young quintet. They took the up-tempo vocal arrangement from The Clovers' version on their album 'The Clovers In Clover,' adding a swinging big band and swirling strings. 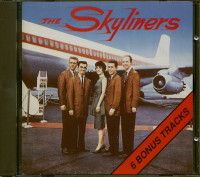 Both Pennies From Heaven and its flip, the equally vintage I'll Be Seeing You, also appeared on The Skyliners' debut LP. The A-side restored them to respectability at #24 pop in the spring of '60. 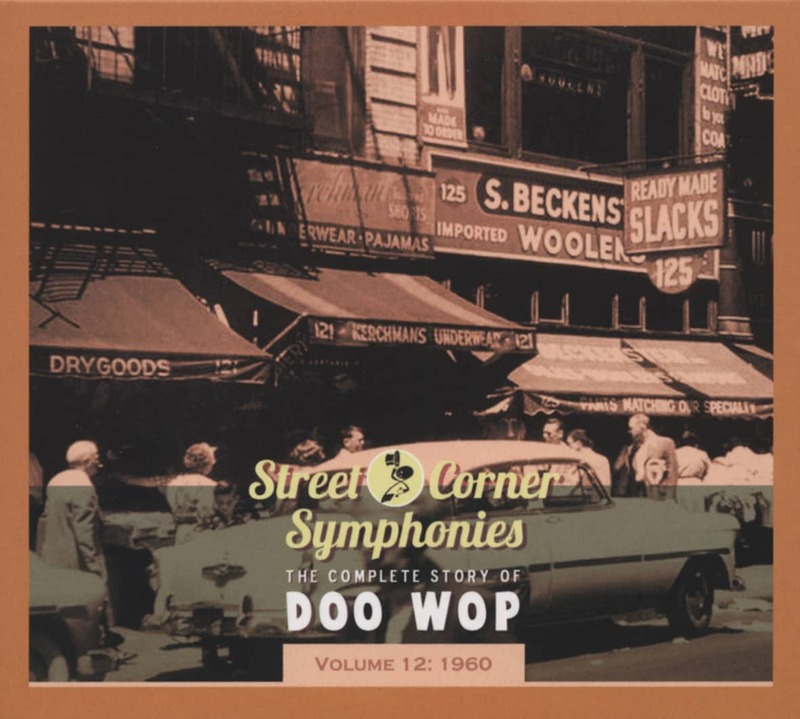 After one more Calico release (Believe Me, written by Richard Barrett for his Chantels soundalike The Veneers), The Skyliners moved to the far larger Colpix logo in 1961, kicking things off with a revival of Chuck Willis' The Door Is Still Open. But the group's two Colpix outings weren't hits. Neither were one-offs for Cameo, Viscount, and Atco. Beaumont went solo, but Taylor got a Skyliners lineup together to wax The Loser for Jubilee and it charted nationally in 1965. Everyone but Taylor regrouped during the rock and roll revival era, and in '75 they slipped into the pop charts anew with Where Have They Gone for Capitol. Janet Vogel was found dead of carbon monoxide poisoning in her auto on February 21, 1980. Beaumont's pipes remain stellar as he leads his current Skyliners lineup. 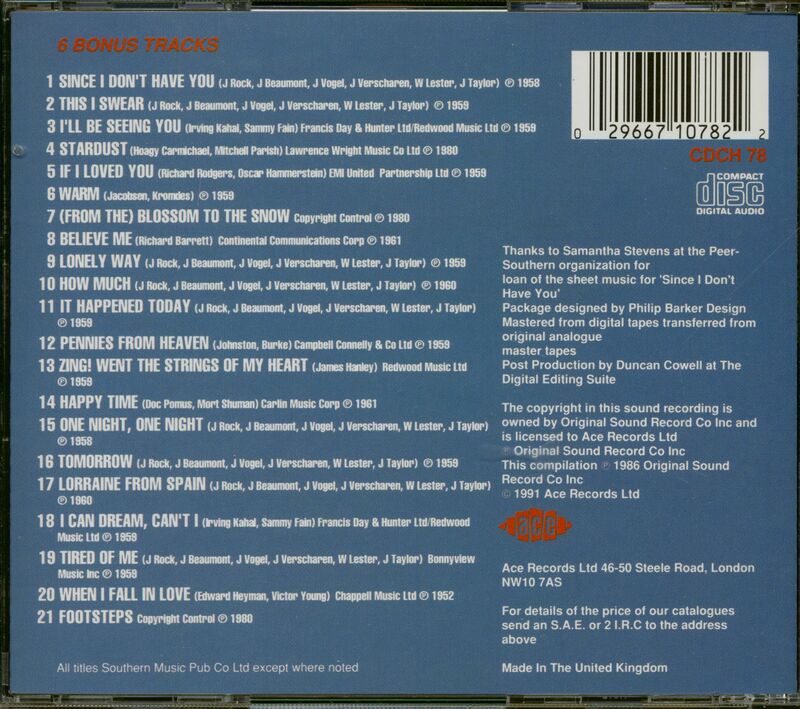 Customer evaluation for "Since I Don't Have You (CD)"